If you are in the market for a new Jeep, your local Frank Kent Jeep dealership can help get you started with your search. When you shop with a Jeep dealership , you can be sure that you’ll be talking to the most qualified customer service representatives because they deal specifically with Jeep automobiles. The Jeep brand is synonymous with classic, American off-road and on-road rugged rides that are a fan favorite of weekend adventurers and those who enjoy spending time outdoors. You local Jeep dealership, like Frank Kent CDJR, will have the most up to date Jeep models and be able to inform you of all of the details of different years of Jeep models and trim levels. Jeep fans are some of the most loyal around. Those who love Jeep vehicles are appreciative of their unique capabilities both on and off-road. Jeeps are easy to recognize for their design, both inside and out. Each year Jeep puts out some amazing new upgraded vehicles that are sure to become Jeep drivers new favorites. The Jeep brand is the most awarded SUV brand-ever. And with a reputation like that, it’s easy to see why so many Jeep customers remain brand loyal. Jeep has some of the best variety of vehicles year to year in their model lineups. From the off-road classic Wrangler to the subcompact Renegade, there are so many Jeep models to choose from today. In fact, a look at the model lineup for 2018 is sure to get drivers of all lifestyles excited. Jeep packs their vehicles with impressive features. Drivers will find the most modern technology in safety, driver awareness, navigation, connectivity, and entertainment on board all of Jeep’s models. Not to mention, impressive capability and power. Classic design is one of the top reasons that Jeeps are a fan favorite over the years. With classic styling and features that give a rugged edge to all of their models, Jeep doesn’t hold back when it comes to their vehicles’ designs. 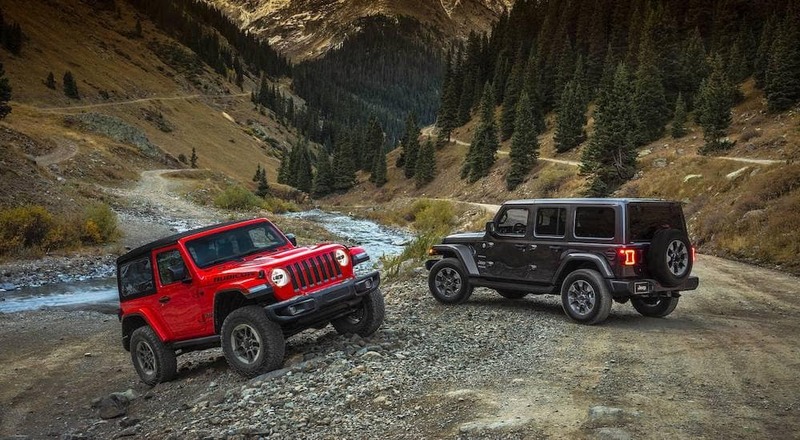 From the Wrangler’s bright exterior color options to the Grand Cherokee’s bold design, Jeep enthusiasts are sure to remain pleased with this year’s lineup. Jeep vehicles handle better than almost every other vehicle in their class, in any weather. Their engine and transmission configurations, as well as their specially tuned suspension, make Jeeps super capable on and off-road no matter what the outdoor conditions may be. This makes them the ideal vehicle for anyone who enjoys an exciting weekend adventure or spontaneous day trip! Year to year Jeep’s lineup is always impressive, and this year is no different. Here’s a quick look at the most popular vehicles in the 2018 Jeep model lineup. A classic in the Jeep family, the Grand Cherokee remains a favorite in its class. From its iconic styling to its great performance, cargo, and towing capability, the Jeep Grand Cherokee is one of Jeep’s best sellers. The Grand Cherokee comes with an 8-speed automatic transmission and is paired with a 3.6L V6 24-valve engine to give the Cherokee power and efficiency. The Grand Cherokee offers a great tow capacity, and its powertrain combinations allow it to retain a fuel efficiency of a EPA estimated 18 city to 25 highway MPG. The Grand Cherokee is loaded with technology for entertainment, navigation, and safety. The subcompact Jeep Renegade has an MSRP of $23,345 and is loaded with safety features and great cargo capacity. Beginning with the first-row seats, drivers will find 50.8 cu ft of cargo capacity and plenty of legroom and headroom for passengers. The Renegade gets one of the best MPGs in its class with 24 city to 31 highway miles. It can tow up to 2,000 LBS and has a fuel tank capacity of 12.7 gallons. The Jeep Renegade is available in four trims: the Sport, the Limited, the Latitude, and the Trailhawk. This compact Jeep SUV is ready to take on any task and is packed with of-the-moment technology, such as Bluetooth streaming audios, hands-free audio, a rear back-up camera, and a large suite of safety technology to make this Jeep a safe, fun, and smart ride. There is possibly a no more iconic Jeep model than the Wrangler. Ruggedly styled and built to perform on and off-road, there is possibly no better example of Jeep style, capability, and performance than the Jeep Wrangler. The 2018 Jeep Wrangler has a starting MSRP of $27,495. It has a towing capacity of 2,000 to 3,500 LBS and gets an EPA estimated fuel efficiency of 23 city to 25 highway miles. The Wrangler is available in five trims: the Sport, Unlimited Sport, Rubicon, Unlimited Sahara, Unlimited Rubicon. These trims include exciting exterior color options such as Baja Yellow Clearcoat, Firecracker Red Clearcoat, and Extreme Purple Clearcoat. Each Wrangler trim also brings additional style, performance, technology, and safety features to this iconic Jeep model. Available in five trims, the Compass is Jeep’s new interpretation of a classic Jeep. Highly coveted features like the 2.4L Tigershark MultiAir engine, a covetable 23 MPG to 32 Highway MPG, and a nice MSRP of $20,995, the Compass is a great option when you are shopping for a Jeep. The Compass is available in 9 bold and exciting exterior colors. Wheel choices include 16” aluminum wheels in black or silver gve drivers an added style choice for the exterior of their Jeep. Optional black roof styling and chrome-wrapped bumpers give the Compass a luxurious exterior look. On the interior, the Compass pulls out all of the stops with attention to smart and stylish details. Throughout the quiet-ride cabin, drivers will find attention to every detail, from seat materials and contrast colors to dash and control center design, every element of the Compass is designed with drivers in mind. Your local Jeep Dealership is the best place to start shopping for your new or used Jeep. No matter what model you choose, our professional sales team at Frank Kent CDJR can get you in the perfect Jeep model for your lifestyle and budget. Once you are ready to buy, our finance team will secure you a lease or loan to get you driving today. 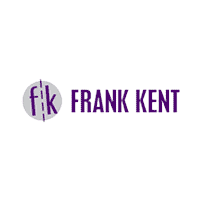 Frank Kent knows not everyone has perfect credit, so we are happy to offer our customers alternative financing directly through our dealership. There is never a need to worry about approval with Frank Kent CDJR as we will try our hardest to set you up with the financing that you require to complete your vehicle purchase with peace of mind. By choosing Frank Kent CDJR, you can feel confident that you are beginning a reliable relationship with a reputable Jeep Dealership that will last from the start of your purchasing process and continue long afterward. When you’re ready to get started, visit our website to browse our extensive inventory of Jeep models and check out our current sales and finance incentives. Then stop by our dealership and find your new Jeep today!